'Vogue Kids' With North West Cover Is A Clever April Fools' Prank By Fashionista, But Would You Read It IRL? Conventional wisdom states that in every joke there is a kernel of truth, and one publication's April Fools' Day prank possesses a reality check no one saw coming. Sartorial website Fashionista debuted a glossy entitled Vogue Kids featuring North West as its first cover star this morning, and the prank was so convincing that some readers took the headline as fact. In reality, Anna Wintour's vice grip on the publication would never allow such a periodical to exist, though the editor's inclusion of Kim Kardashian into Vogue's union of cover stars might suggest otherwise. At first glance, the stunt is amusing and on-the-nose. However, Fashionista's prank does raise the question: would you read Vogue Kids if the publication were real? Celebrity children are inarguably a mainstay of modern culture, especially those dressed to the nines in designer couture. At nearly two years old, North West possesses a closet that rivals the wardrobes of women ten times her age, as do eight-year-old Suri Cruise and Johnny Depp's daughter Lily-Rose Melody Depp. One could argue that the progeny of Hollywood's top actors are even more magnetic to paparazzi than the stars themselves, a fact which is cause for concern but nevertheless true. Infant fashion is the next great frontier for mothers whose own clothing collections are more or less complete, so why not create a publication targeted towards the children of families with disposable income? Gucci, Burberry, Armani, and Ralph Lauren manufacture children's clothing so trendy adults would snap it up if only the wares came in larger sizes, and the number of diaper bag and buggy designers has grown so exponentially over the past several years that infants nearly have a greater selection of transportation and accessories than adults. In addition, Vogue offers its readers a holistic approach to an elegant life, from food to fashion and culture, a lifestyle which mothers may be inclined to share with their children. 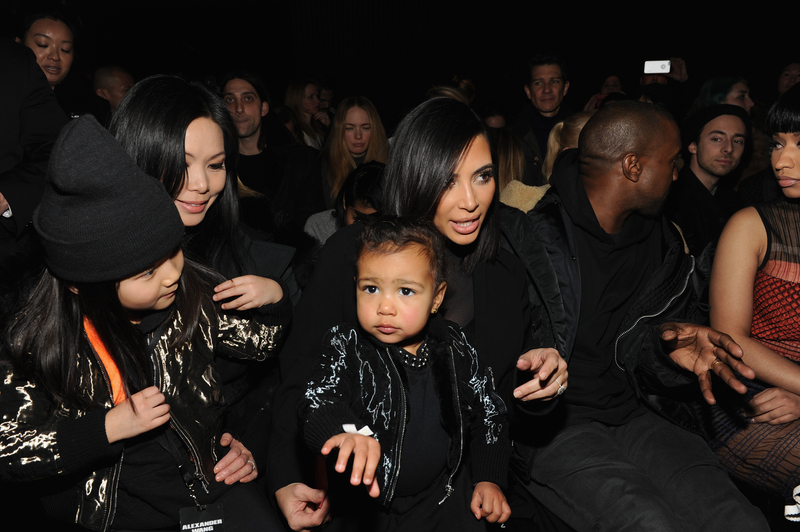 Why else would Kim Kardashian choose to include North West in the front row at Fashion Week? With the number of celebrity mothers on the rise, it may be that Fashionista predicted a burgeoning trend with its timely April Fools' Day prank. Perhaps North West will possess the same powers of persuasion as her mother and snap up the publication's first cover; stranger things have happened in the fashion industry.